S-678 – Bateman (R16); Smith (D17) – Prohibits treatment, discharge, disposal, application to roadway, or storage of wastewater, wastewater solids, sludge, drill cuttings or other byproducts from natural gas exploration or production using hydraulic fracturing. NJBIA opposed this legislation on Oct. 29, please click here to read our testimony. S-678 passed in the Senate 31-5. This legislation has not been considered in the Assembly. S-1592 / A-1414 – Addiego (R8); Rice (D28); McKnight (D31); Chiaravalloti (D31); Pintor Marin (D29); Holley (D20); Wimberly (D35); Quijano (D20) – Requires financial literacy instruction to pupils enrolled in grades six through eight. NJBIA supported this legislation on Oct. 29. S-1592 / A-1414 was amended on the Senate floor, sent for a 2nd reading and passed 35-0. The legislation previously passed the Assembly 71-2. S-1967 – Sweeney (D3); Madden (D4) – Concerns certain workers’ compensation supplemental benefits. NJBIA opposed this legislation on Oct. 29. S-1967 passed in the Senate 26-12. This legislation has not been considered in the Assembly. S-2518 – Cryan (D20) –Excludes certain out-of-State businesses and employees from certain taxes, fees, and business registration requirements when temporarily performing in-State work or services during declared disaster or emergency. NJBIA supported this legislation on Oct. 29. S-2518 passed in the Senate 39-0. This legislation was previously reported out of the Assembyl Homeland Security Committee. S-2528 – Sweeney (D3); Diegnan (D18); Ruiz (D29) – OPPOSE – Revises law concerning family leave, temporary disability and family temporary disability leave, and domestic or sexual violence safety leave. NJBIA opposed this legislation on Oct. 29. S-2528 was amended on Senate floor, sent for a 2nd reading and passed 31-0. S-2528 was amended on the Assembly floor and sent for a 2nd reading. SCR136 – Smith (D17); Codey (D27) – Urges federal government to take action to require manufacturers of single-use plastic products to assume responsibility for pollution caused by those products. NJBIA opposed this legislation on Oct. 29. SCR136 passed in the Senate 25-5. This legislation has not been considered in the Assembly. A-128 / S-1697 – DeAngelo (D14); Lagana (D38); Space (R24) Sarlo (D36), Oroho (R24) – Exempts fuel used for operation of certain school buses from petroleum products gross receipts tax and motor fuel tax; clarifies tax treatment of certain dyed fuel thereunder; clarifies determination of taxable estates of certain decedents. NJBIA supported this legislation on Oct. 29. A-128 was substituted by S-1697 and passed in the Assembly 76-0-1. This legislation is currently on the Governor’s desk. A-1890 / S-869 – Muoio (D15); Jimenez (D32); Lagana (D38); Vainieri Huttle (D37); Benson (D14) / Sweeney (D3); Cunningham (D31); Oroho (R24) – Permits establishment by county and four-year institutions of higher education of three plus one degree programs for receipt of baccalaureate degree after spending three years at county college and one year at senior institution. NJBIA supported this legislation on Oct. 29. A-1890 was substituted by S-869, passed in the Assembly 78-0, was sent to the Senate for a 2nd reading to concur with Assembly amendments where it passed 40-0. This legislation is currently on the Governor’s desk. A-1992 – Sumter (D35); Eustace (D38); Benson (D14); Vainieri Huttle (D37); Houghtaling (D11); Wimberly (D35) –”New Jersey Call Center Jobs Act.” NJBIA opposed this legislation on Oct. 29. A-1992 passed in the Assembly 51-23-1. This legislation has not been considered in the Senate. A-2031 – Coughlin (D19); Vainieri Huttle (D37); Lampitt (D6); Danielsen (D17); Downey (D11); Quijano (D20); Jasey (D27) – Expands health insurance coverage for behavioral health services and autism and enhances enforcement and oversight of mental health parity laws. NJBIA opposed this legislation on Oct. 29, please click here to read our testimony. A-2031 passed in the Assembly 73-2-2. This legislation has not been considered in the Senate. A-3417 / S-393 – DeAngelo (D14); Murphy (D7) / Madden (D4); Singleton (D7) /Singleton (D7) – Establishes Talent Network Program in DOLWD. NJBIA supported this legislation on Oct. 29. A-3417 was substitute by S-393 and passed in the Assembly 68-8. This legislation is currently on the Governor’s desk. A-3636 / S-870 – Jasey (D27); Schaer (D36); Calabrese (D36) / Sweeney (D3); Cunningham (D31) – Establishes Dual Enrollment Study Commission. 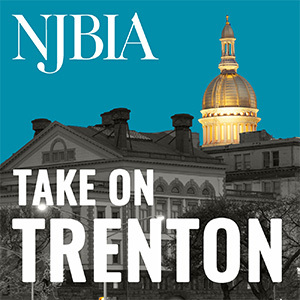 NJBIA supported this legislation on Oct. 29. A-3636 was substituted by S-870, passed in the Assembly 75-0, was sent to the Senate for a 2nd reading to concur with Assembly amendments where it passed 39-0. This legislation is currently on the Governor’s desk. A-4315 / S-2839 – Houghtaling (D11); Zwicker (D16); DeAngelo (D14) / Gopal (D11); Oroho (R24); Greenstein (D14) – Makes General Fund supplemental appropriation of $250,000 to New Jersey Manufacturing Extension Program, Inc. NJBIA supported this legislation on Oct. 29. A-3636 was substituted by S-2839 and passed in the Assembly 77-0. This legislation is currently on the Governor’s desk.